(866) 926-2768 or email me at Harvey@Gospel-Magic-and-Balloons.com and I’ll be happy to answer any of your questions. Why can’t I find your fees on your website? Since I offer many different packages the site would be WAY to big and just confuse my clients. The best thing to do, if you haven’t done so already, is to fill in the form (which I have conveniently recreated at the bottom of this page), to receive via e-mail my various show descriptions and fee information. This gives you (and your committee) a chance to review it at your leisure and select the show(s) that best fits within your ministry’s needs. By the way, most of the show are adaptable, if you want to change something in the show, just let me know, and we’ll see what we can work out together. Do you do more than a Gospel Magic and Balloon show ? 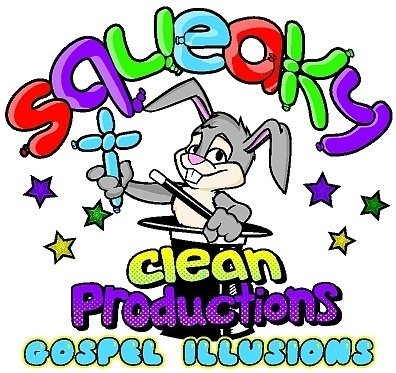 You are on the ‘Gospel Magic and Balloon” site for Squeaky Clean Productions, but basically if you need entertainment for ANY family-type event, I can help! Venues include but are not limited to libraries, public schools, parks and recreation, family reunions, scout meetings/banquets, award banquets, or any other place families gather for fun! 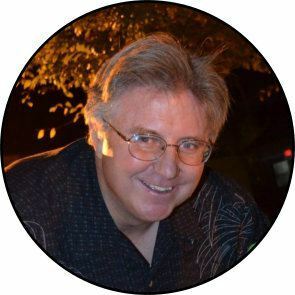 Note: Not all event websites are built yet, so if you don’t see what you are looking for, email me at Harvey@gospel-magic-and-balloons.com ​or call me on my toll free number on the page below and I'll be happy to discuss how I can help you make your event Amazing, Unforgettable and Fun! What if I want more than a Gospel Magic Show for my group, can you also provide clean adult humor or other services? Of course. The best thing to do is start with the Gospel Magic and Balloons show information, then contact me to add other sevices such as balloon twisting for all and/or strolling close-up magic for other types of events. Yes! I have been a “born again” Christian for over 20 years. I was licensed by the Pillar of Fire church to preach many years ago; and in 2010 the Pillar of Fire church officially ordained me. And recently, I was elected to Presiding Elder of our local church and although I am officially an Associate Pastor, our Senior Pastor is really a "Pastor Emeritus", I am assuming almost all the responsibilities of a Senior Pastor-ship. I officially have the title “Reverend”, but I rarely use it. We are pretty protective about what we let outside speakers tell our audience, congregation, and school children. You don’t preach anything spiritually “weird” do you? First of all...GREAT! You SHOULD be protective of the flock in your charge! Secondly...All of my preaching concerning God’s Law, sin, grace, redemption, and Christian living come directly from the Bible. I believe it is God’s inspired Word to us, therefore I am very careful about not adding my own opinion. Although I use fresh ideas and illustrations to preach the Word, I never stray from teaching core Christian doctines and beliefs. I’d like you to do all the balloons for the children in advance to and give them away at the event. Can you do that? Sometimes, depends on how many Amazing Balloon Creations you need made. Email me at Call me at Harvey@Gospel-Magic-and-Balloons.com or call me (866) 926-2768 to discuss fees, options, etc. Your balloons look like they would be great centerpieces! Can I hire you just for the centerpieces or add it to any package that I select? Absolutely! For an additional fee, I can do that. Again, email (Harvey@Gospel-Magic-And-Balloons.com) me or call to discuss options for your event! Can you decorate our outreach event with balloons (arches, columns, etc)? Although I LOVE preparing balloon decorations. It takes a great deal of time to prepare and install arches, columns, etc. It all depends on my performing schedule. Again, email me at Harvey@Gospel-Magic-And-Balloons.com or call me at (866) 926-2768 to discuss fees, options, etc.